Sunday 7th November Polo | Birmingham Hardcourt Bike Polo, UK. Fight the urge to go to church and come play polo instead. Embiggened by the recent upswing in newbies showing up to play polo, I’m trying once more to stretch Birmingham polo to twice-weekly games. In a whacky, out-there, new approach to the old problem of low turnouts I’ve suggested a hangover-smiting 10AM Start Time, and by j(ah)ove(a), it seems to have worked. 5 people have already confirmed on the Birmingham fixed gear forum, which bodes well for proper 3 on 3s. One thing to remember though. Despite what the top right hand corner of the blog tells you, this won’t be at Calthorpe Park, just as it won’t be at 8pm or on Wednesday night (asidular apologies for that – I don’t know how to change it). It will instead be at Highgate Park, which has been described by polo luminaries from as far afield as Manchester and Cambridge as ‘pretty good’, ‘not bad’ and ‘quite red’. So, key points to remember: Polo. Sunday 7th Nov. 10am-12/1pm. Highgate Park. Nice calendar (you’re welcome). 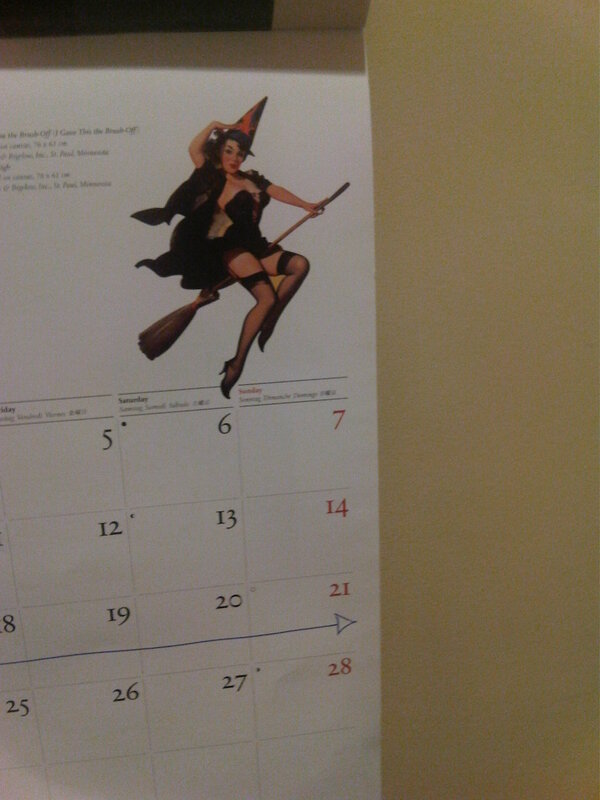 Although, I think the ‘witch’ would’ve been more appropriate in October, not November. I’ll cancel my club ride for this. Just rescued Stu’s insightful criticism from the trash like the spotty man rescued Superted. “Embiggened” was a Simpsons reference. “Asidular” I coined all by myself as an adjective form for ‘aside’. Making up words isn’t only for Germans. Or Shakespeare. Or Sarah Palin. Still coming to this, friend Speedy is too, though other than a knock about in a car park with the mallets last week he’s a novice. He’s also bought my spare mallet from me. so how are the numbers now Dan? That’s cool – there’s plenty of newbies around these days. We’ll probably try to mix teams up according to ability/experience rather than shuffling to ensure close games. We had seven people on Wednesday before the lights went out, but Matt is moving to Liverpool in a few weeks so the one-in-one-out trend continues! The interest in this Sunday game is better than pretty much ever before though, so maybe we’ll persist with it and more people will make it out.